Growth Spiral ($0.10) Price History from major stores - Ravnica Allegiance - MTGPrice.com Values for Ebay, Amazon and hobby stores! Card Text: Draw a card. 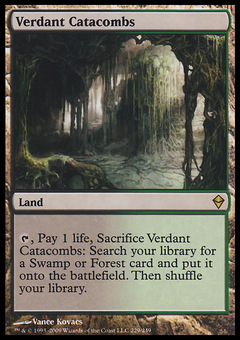 You may put a land card from your hand onto the battlefield. 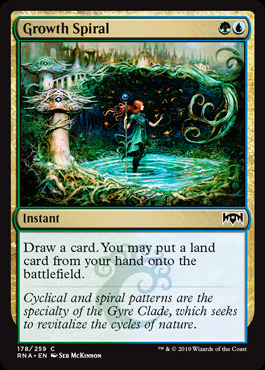 Flavor Text: Cyclical and spiral patterns are the specialty of the Gyre Clade, which seeks to revitalize the cycles of nature.